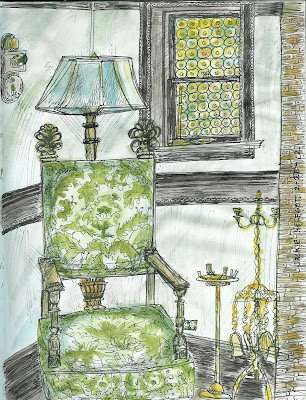 Took me awhile to get this posted but here is my sketch from the last sketchcrawl at the Stimpson mansion. I was going to do more on it, but that may never happen at this rate so I will call it done. I love that place - I'd love to go again sometime.